Workplace negativity is one of the toughest problems that managers at any level of the modern workforce will face. It gets started slowly, often seemingly without cause, and can build to a crescendo in the blink of an eye, turning a once cooperative and productive employee workforce into a distrustful and hostile mob whose focus has strayed far from the corporate vision, mission and goals. Such a workforce engages in work slowdowns, willful disobedience to directives and organizational sabotage. It is up to you, the individual manager, to keep your finger always on the pulse of collective employee emotions and to thus keep workplace negativity at bay. By following the tips here, you will be able to quickly identify and resolve sources of workplace negativity, before they get out of hand and damage your organization. You must first analyze where the negativity in your organization is coming from. Drill down into your performance statistics to see where parts of your organization, and individuals within those segments, are not performing well. Chances are you will find some degree of unrest. The mistake that many inexperienced – and even some senior – managers make is to try to correct negativity problems by making broad-based “rules” that they apply to their entire organization when it is really only one part of the organization that is causing the problem. You need to operate like a surgeon with a scalpel here, deftly excising the damaged bits without disturbing the healthy organism. Using the paintbrush approach just won’t do, and, in fact, can cause more harm than good, as your employees who were never guilty of any transgression will feel put upon by having yet another restriction placed upon them by management. Once you have identified the parts of your organization, or better yet, the individual employees that are causing your workplace negativity, you can take further action. One of the major causes of workplace negativity is a lack of effective leadership. Your employees want to look up to you and they want to know that you “have their backs” when it comes to representing their interests. If you consistently disappoint them by making poor decisions that have negative consequences for their work lives, they will catch on quickly and will come to distrust you. The only way to overcome this type of leadership pattern, if you have been exhibiting it, is one decision at a time. Let your employees know that you are going to bat for them on some significant issue, and then don’t back down. Show them that you are a person of integrity. Let them know that you believe in the organization’s vision and mission, and are working alongside them, as part of the same organizational team, at your organizational level, to accomplish the overall goals. Very often, workplace negativity arises from ineffective communication practices by management, resulting in the workforce feeling like they are being disrespected and kept in the dark. If there are problems on the horizon, inform the workforce. If big decisions are looming, let the workforce know. If several possibilities are being considered for a big decision’s outcome, it does no harm to include the workforce in this knowledge. Just the opposite, in fact. They will feel like they are a vital part of the organization because they are part of the “information loop,” and are up-to-speed with the latest details of what is really happening within their organization. Every employee wants to have their voice heard, especially when it comes to their own job. It is very disheartening when management makes unilateral decisions that affect an employee’s work hours, job conditions or assignments without even getting any input at all from the employee. This is probably the number one cause of workplace negativity, and can spread like wildfire through a workforce. Fortunately, this is also very easily cured by a one-on-one session with the employee, where you allow them free rein to discuss these issues while you take notes. The same is true when it comes to providing the opportunity for employees to comment on the policies and procedures that govern your workplace. These policies and procedures rule your employees’ work lives, so it is only fair that they be given the right to provide comments on them. If you treat people like adults and respond fairly and quickly to their questions and concerns, this can reduce a lot of workplace negativity. 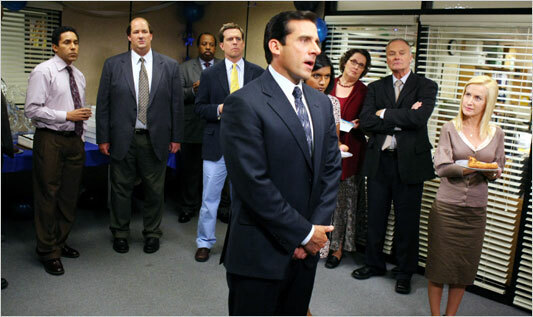 No employee likes the idea of being stuck in a dead-end job, one with no potential for growth, enrichment or advancement. This can cause even a highly skilled employee to become a malcontent. Again, this is easily cured by providing job enrichment assignments through cross-training or lateral moves. Or you could provide formal training in preparation for a move to a higher level or a switch to another career field altogether. All of these opportunities show that you are committed to developing your employees. Not having an appropriate system of merit-based rewards is another peak cause of workplace negativity that is easily remedied. Employees want to feel that their contributions are valued, and one of the best ways to do this is through some type of reward system, be it cash-based or otherwise. 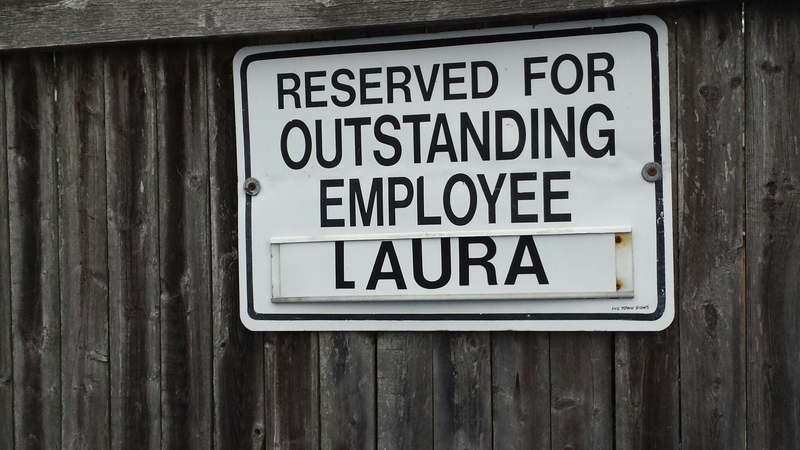 A reward system such as this will also be a huge boost to employee morale. 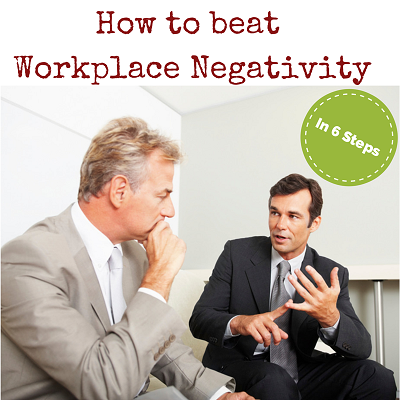 Here you have a series of steps you can take to beat workplace negativity. But if you really want to do your organization a service, apply these steps now, and you will avoid the workplace negativity in the first place – a true win-win solution!